Some google sleuthing tells me that this is from the tomb of Ottaviano Fabrizio Mossotti, an Italian physicist, and the sculpture was done by Giovanni Duprè. 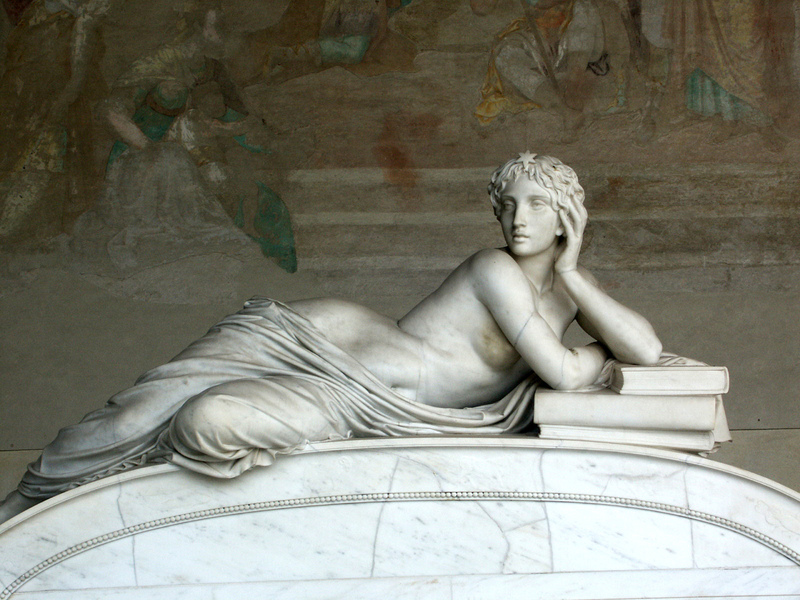 The figure is Urania, the muse of astronomy, sculpted by Giovanni Duprè, from the tomb of Italian-Argentine physicist Ottaviano-Fabrizio Mossotti in Pisa, Italy. Would you say the same if it were a half naked man reclining on a stack of books??? Chuck Brown @ #3: Sure, why not? And Dauphni @ #1 and anon @ #2: Thank you so much for the sleuthing! That makes it even better.